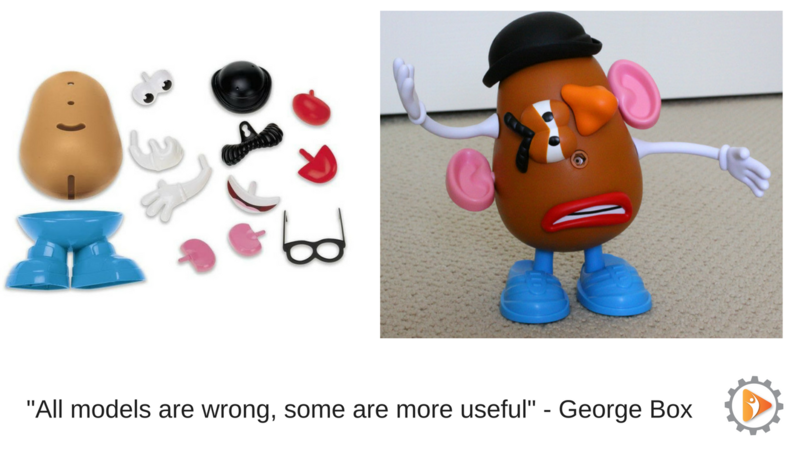 "All models are wrong, some are useful" - how useful are yours? The approximations must be applicable to the whole environment. If the model doesn't apply to certain environments, those limitations must be clearly understood by the target audience. The model must be simple enough to remember. The model must make sense to the user. The model must be useable by the target audience. There are few things more complex than human behaviour in group environments where subtle changes to the environment or misunderstood communications can have disproportionate effects to the performance and/or relationships of those connected to that one person through the network of relationships we have. These effects impact team and individual performance and morale, and lead to significant personal distress, unfortunately sometimes with catastrophic and tragic results. To help those involved in personal development, leadership and teamwork, models of personality and behaviour have been developed to simplify the complex nature of human relationships. The models have been used for recruitment, selection, talent development, understanding environment preferences, team co-operation, self-awareness...the list goes on. Well known personality models include MBTI, DISC and Insights, and as with any model, they have limitations. The Process Communication Model is the same as the other models, it has limitations and approximations and it has strengths and it has weaknesses. PCM was developed through observations of communications and interactions rather than personality theory, therefore one of its key strengths is its ability to use it with other models such as MBTI, DISC, Belbin or Insights and showing 'how' to interact with others because it links specific communications requirements with personalities and observable behaviours. Many models, from a user perspective, pigeon-hole people. The 'user' may undertake a one-day (or more) training course which shows their personal attributes, strengths and weakness e.g. "I am an ENTJ", "I am red/blue", "I am DS", "I need to be communicated in a direct manner", "I need to have my time managed" but the training or materials don't provide a "how do I use this" to the user or to their peers/management/leadership. This poses a number of problems when it comes to the post-training environment. What do I do with my attribution? How do others know my attribution? How do others react or interact with me for the knowledge to be usable? 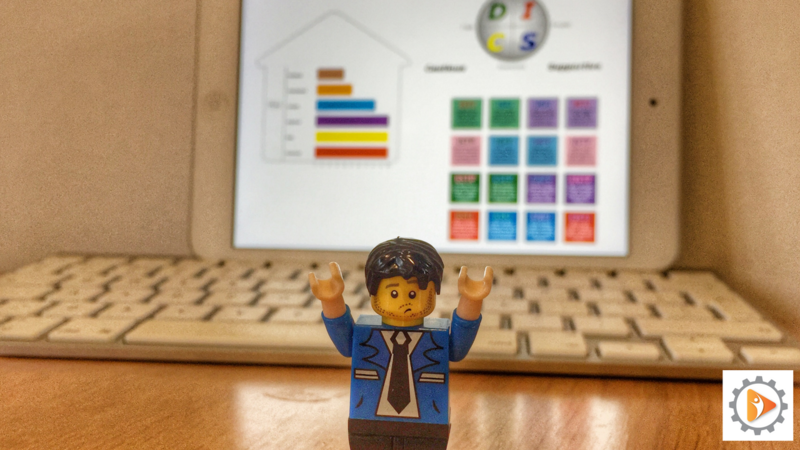 Does my behaviour change when I am stressed, or in work, or at home? The Process Communication Model does not talk about 'personalities of people' but rather 'personalities in people' and because it is communications/behaviours-based it allows you to answer all of these questions. 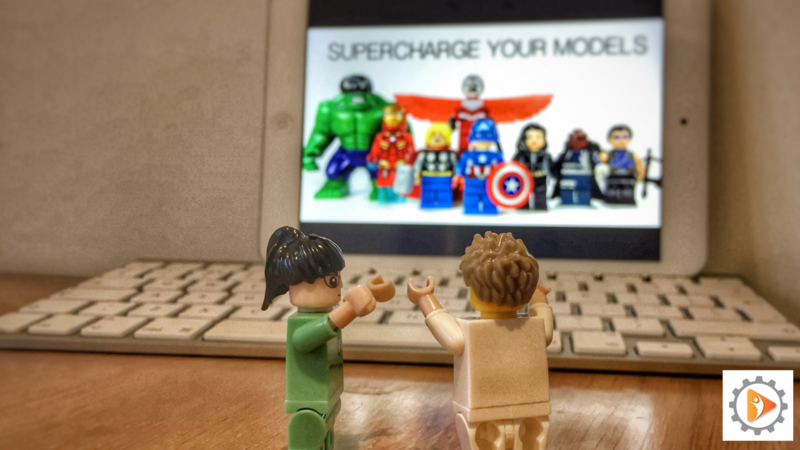 Over the next few weeks I will be looking at a number of the more well known models and show how you can supercharge with the Process Communication Model to enable you to provide 'how' to the 'what'. Someone might be introverted in one environment but come across as extroverted in another, how do you know which 'mood' they are in? If people are in an OK:OK position, then they are able to move between alone, one-to-one, group and group-to-group environments more easily. If they aren't in the OK:OK position, they will find it hard to be in an environment which is not their most productive or supportive. They will exhibit certain behaviours, such as over-controlling or pushing their beliefs (prefers one-to-one), or withdrawing (alone), or over-adapting (group). To create the OK:OK situation, we meet their motivational needs. In the case of these three examples, recognition of work/time structure or value behind the work they do and the opinions they have, solitude and recognition of the person/sensory needs. Although another person might prefer to work in a one-to-one environment most of the time, they can also work in teams but they get frustrated and depressed when working on their own for sustained periods of time. If their current job is to work alone because they are the specialist, what can you practically do about it? Crucially they need to get their motivational needs met for their personality structure. For someone who prefers to work one-to-one, this would be about having their work and a structure to their time recognised, or the value behind the work recognised and their valuable opinions recognised. However, this positive feedback from peers or friends can be about something completely different to the 'work space' environment, the effect is the same. This gives them the 'buzz' they need to carry on working alone. A major clothes designer and manufacturer were creating a product launch and there were many problems to resolve. Each person had their concerns and potential ways of solving the problems and agreement was difficult. A PCM trainer divided the 50+ staff into groups associated with their primary perception and ask each group how they would solve the issues. They were then asked to present their plan to the rest of the team. Those with thoughts as their perception were focused on the plan, the detail, the schedule, the details whereas those with emotions wanted to ensure that everyone was okay with the plan, that the customers would be happy, that the vision made sense aesthetically. Once the different groups heard what the others had to say, they realised they needed to include all the 'languages' of perception in their project and marketing materials. As we can see, we are all different, no one perception is better or worse than another. The key is to understand how to connect and how to motivate each other and ourselves. The weekly articles will help you do that by providing practical means to develop high performing teams by building on the tools you already know and understand and fill potential gaps. Models are a means to an end. They are there to simplify complex structures or systems to reduce the mental workload when interpreting reality. Personality and behaviour models all have strengths and weaknesses and sometimes it is better to combine parts from one and use it with another. Being able to apply a "how do I use this" to a model is essential if it is to be of value, both from a personal perspective in terms of time they spent during the training, but also from a business perspective where money and time away from their full-time role has been invested and some form of return is needed. There is no good in having an awesome profile if it sits in your drawer or if you need to look up your notes to see 'who you are'!